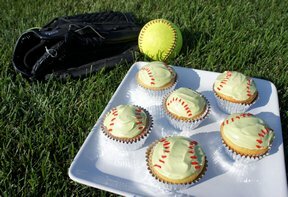 Are you having the softball team over to celebrate a successful season? Surprise them with these cupcakes that will put a smile on their faces no mater what their record was. Preheat oven according to cake mix. Line cupcake tin with paper liners. 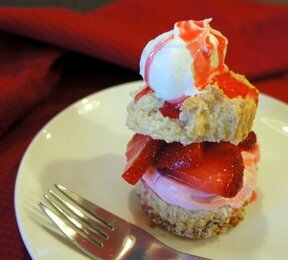 Prepare cake according to package directions and pour evenly into liners 2/3 full. Bake and allow to cool. 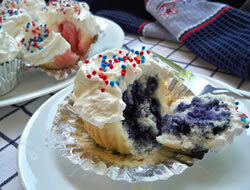 In a small bowl, combine frosting with extract, if desired, and food coloring. Mix until combined and to the desired color. Frost each cupcake. 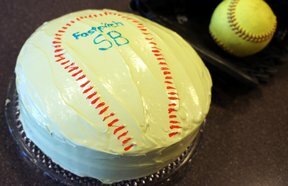 Decorate with red gel frosting to look like a softball. "With softball season coming to an end, I thought I would make these for the last game. Everyone thought they were so cute and gobbled them right up."